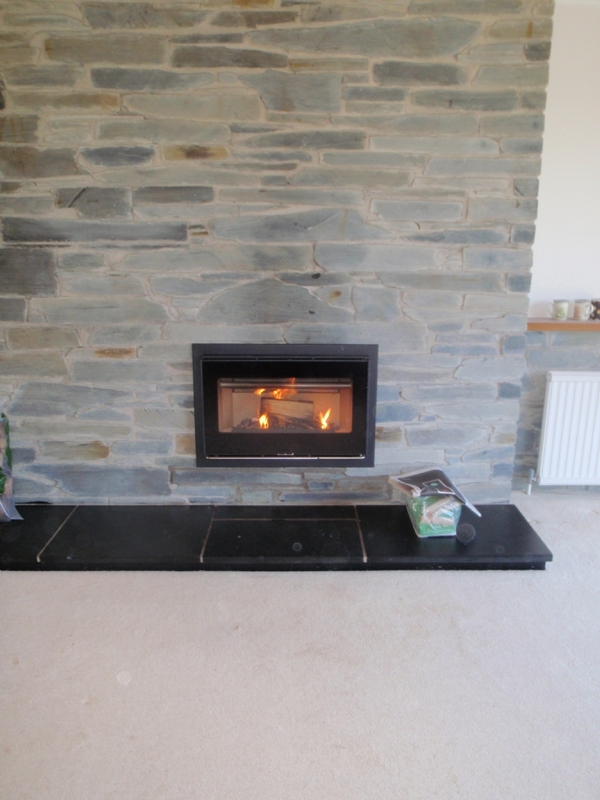 Replacing an old open fire with an efficient woodburner wood burning stove installation from Kernow Fires. 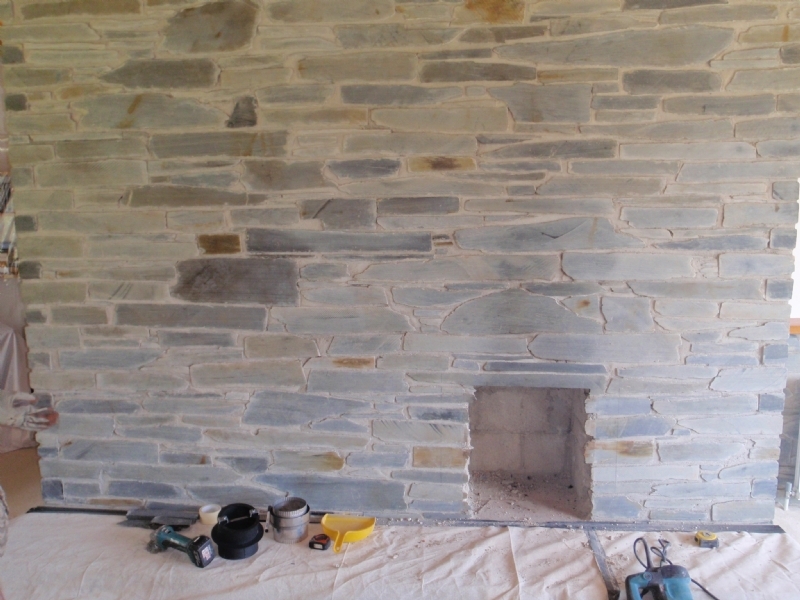 As you can see from flipping through the photos that the opening was dug out to accommodate the new fireplace, then slate was added to the bottom of the opening to fit with the rest of the wall. The chimney was lined and the new Scan DSA 7-5 connected. The Scan 7-5 has just been discontinued this season and has been replaced with the 1001/1002 series. 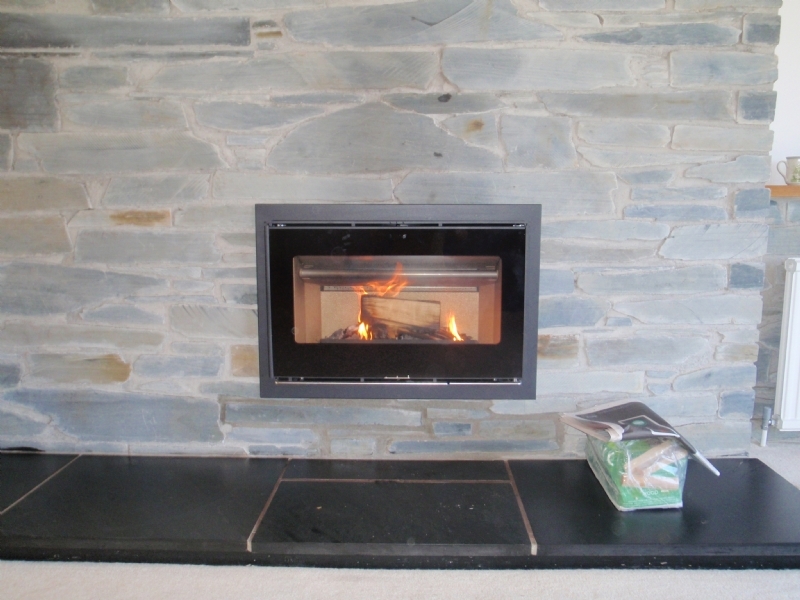 Both fires has wonderful flame pictures and are a favourite with the Kernow Fires team. 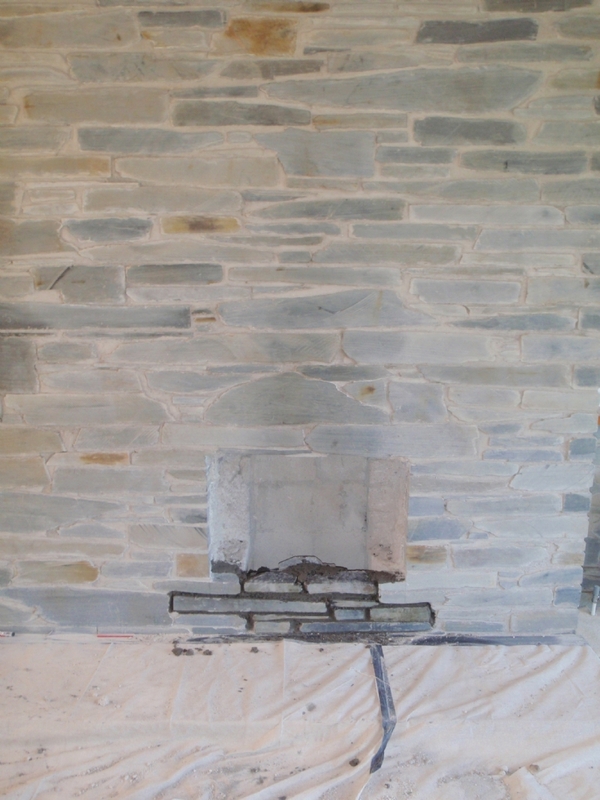 The existing hearth was given a coating of slate oil to freshen it up.